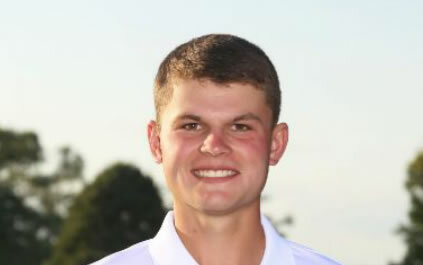 Why he won: Third time IHSA 3A boys’ golf state qualifier (placed 58), top 5 finisher in the IHSA Regional, top 10 finished in the IHSA Sectional, and a 4 year FVC All-Conference athlete. Question: How long have you been playing golf? Question: What is your training like (How many days a week for how many hours)? Question: Why do you play golf? Question: How does it feel when you place top five at a big tournament? Question: What is your biggest accomplishment in your sport? Question: What is the best advice you have ever received? Question: Who is your role model/hero? Question: Were you surprised that you won athlete of the week? Question: Do you expect to play sports in college? Question: What is your favorite course to play on and why? Question: What place did you get at state, and are you happy with how you did and why?